The BJP has fielded 14 sitting MPs, including four Union ministers, and dropped the only woman lawmaker from Rajasthan as it announced its first list of candidates for the Lok Sabha polls. 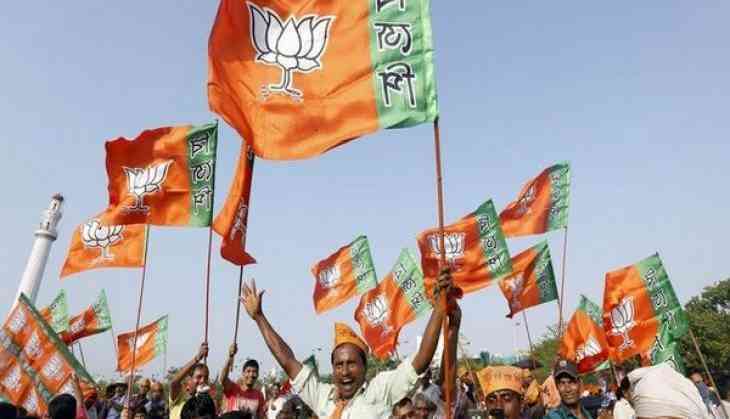 In its first list, the BJP on Thursday announced candidates for 16 of the total 25 Lok Sabha constituencies in the state. The party has dropped the only woman MP from the state, Santosh Ahlawat, from Jhunjhunu seat and replaced her with Narendra Khinchad. Union ministers Arjun Ram Meghwal (Bikaner), Rajyavardhan Singh Rathore (Jaipur rural), P P Chaudhary (Pali) and Gajendra Singh Shekhawat (Jodhpur) have made it to this list. The party also retained Nihal Chand (Ganganagar), Sumedhanand (Sikar), Ramcharan Bohra (Jaipur), Sukhbir Singh Jaunapuria (Tonk-Sawaimadhopur), Devji Patel (Jalore), Arjun Lal Meena (Udaipur), C P Joshi (Chittorgarh), Subhash Chand Baheria (Bhilwara), Om Birla (Kota) and Dushyant Singh (Jhalawar-Baran). Dushyant Singh is the son of former chief minister Vasundhara Raje. "The party once again showed faith in me and it was because of the works I did for the constituency and the party workers. My victory was with highest number of votes last time and I hope the same win this time also," Jaipur MP Ramcharan Bohra, who was retained by the party said. Former MLA and member of erstwhile royal family of Jaipur Diya Kumari was also in the race for ticket from Jaipur or Tonk Sawaimadhopur but she was not given ticket. BJP state president Madan Lal Saini said the party's target was to win all the constituencies under its mission 25. "The party is prepared and the workers are geared up. We will win all the seats in the state," he said. In Ajmer, the party gave ticket to Bhagirath Bhagirath Chaudhary. The Ajmer Lok Sabha seat lies vacant after Congress' Raghu Sharma, who had won the seat in the Lok Sabha bypoll held last year, was elected to the state legislative assembly in December. The Lok Sabha elections will be held in two phases in the state where 13 constituencies will go to polls on April 29 and remaining 12 on May 6. According to the schedule, Tonk-Sawaimadhopur, Ajmer, Pali, Jodhpur, Barmer, Jalore, Udaipur, Banswara, Chittorgarh, Rajsamand, Bhilwara, Kota and Jhalawar-Baran will go to polls on April 29. The polling in Ganganagar, Bikaner, Churu, Jhunjhunu, Sikar, Jaipur rural, Jaipur, Alwar, Bharatpur, Karauli-Dholpur, Dausa and Nagaur will take place on May 6.